Get Connected with NJOEM Today! Follow us on social media! We post important information, news, and preparedness information for you and your family! 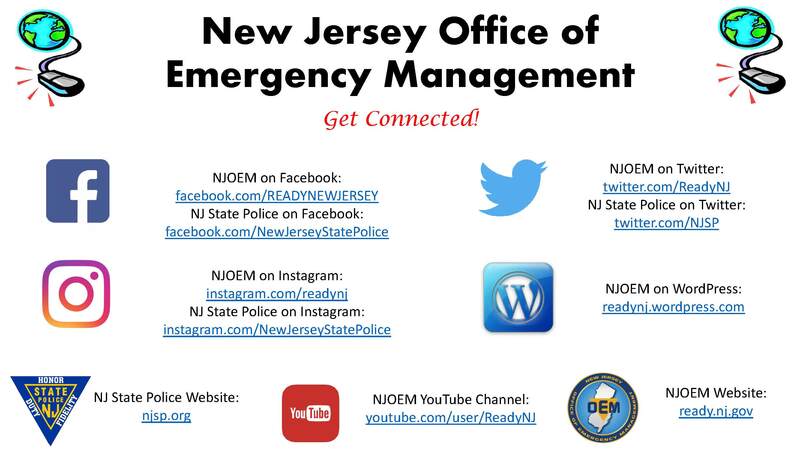 Visit ready.nj.gov today to learn how to prepare your family for emergencies today! This entry was posted in All Hazards, Preparedness, Uncategorized and tagged Emergency Management, njoem, njsp, Preparedness, Recovery, social media. Bookmark the permalink.